Safexpress Tracking. Delivery Tracking System for Safexpress. Enter Safexpress Waybill No or Safexpress Tracking No. Delivery Tracking System for Safexpress. Do not use spaces or other (+ - / * ? & = ! ') characters. After clicking on the "Track" button on the left, you will be directed to the tracking result page on Aftership. This page creates just a link automatically for requested information with form restructuring. The most common tracking number format is a combination of 8 numeric characters (8 digits) (e.g. 0000 0000). Some other less common formats may also exist. 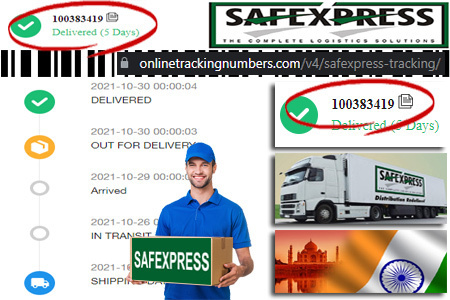 Online Tracking Numbers COM never makes logging and does not use Safexpress's any of the information system definetly. Safexpress is a Supply Chain & Logistics company in India. Safexpress not only provides express delivery service, but also third party logistics solution to business users. Safexpress Tracking, You can find a shipment no at the voucher that you get from Safexpress, by your shipment. You can follow your post. 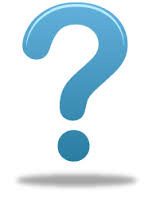 Tap the shipment no on the site and immediately see where your package is at the moment, day to day. Package tracking is achieved by redirecting your inputs to related Safexpress tracking service query addresses. Your private information such as your tracking numbers, cookies, session information are not logged in our site. If you have any question regarding the delivery process of a package, call: +91 1800 113 113. Courier Companys automatically assigns a tracking number to your shipment. Tracking numbers are numbers given to packages when they are shipped. Tracking numbers are useful for knowing the location of time sensitive deliveries. Safexpress Tracking numbers are used by Safexpress to identify and trace shipments as they move through the Safexpress system to their destination. By log in your Safexpress Tracking number can you your package ID by entering the detailed information online following, you can know where your package is at the moment. Safexpress: @100rabh_9tiyal Could you please DM your contact number, our Customer Service Expert will get back to you shortly. Safexpress: @100rabh_9tiyal We are extremely apologetic for the inconvenience. Please share your concern, we will resolve it on priority. Safexpress: @100rabh_9tiyal Hi Saurabh how can we help you today? 100rabh_9tiyal: @Safexpress got a suggestion for you. Safexpress: @imUmeshJoshi Thank you for sharing the details, we will get back to you shortly. imUmeshJoshi: @Safexpress 9456596293 pls update the status. Safexpress: @imUmeshJoshi We are sorry to hear that, could you please message your contact details with us. Safexpress: @Dakshinhindu We are sorry to hear that, as per our records, your consignment has been delivered on Saturday.